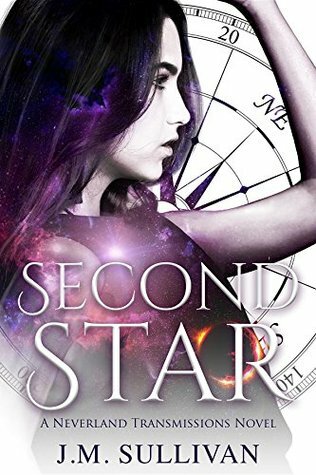 Second Star by J.M. Sullivan is the first book in the young adult science fiction fantasy Neverland Transmissions series. Yes folks, I have found myself yes another Peter Pan retelling with this series and no, I haven’t tired of them yet. In this series Captain Hooke is captaining a space craft and Peter and the other lost boys are the crew when Peter sabotages the ship stranding them all on Neverland. Then the point of view changes over to Wendy who is nothing like the one we all know, instead tis version is training to captain her own crew and wants to be the one to rescue Hooke who had disappeared a hundred years ago. I absolutely loved the idea of taking this classic into space and making a science fiction version of it. The author filled the pages with creative sci-fi twists to the story and the characters and only loosely following the original….think something along the lines of Cinder by Marissa Meyer. If you are like myself and love retellings I’d definitely suggest giving this one a try. Teacher by day, award-winning author by night, J.M. Sullivan is a fairy tale fanatic who loves taking classic stories and turning them on their head. She has a passion for the writing community and loves empowering and encouraging other authors. Although known to dabble in adulting, J.M. is a big kid at heart who still believes in true love, magic, and most of all, the power of coffee. 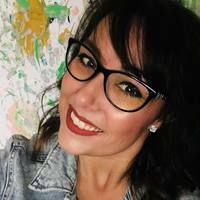 If you would like to connect with J.M., you can find her on social media @jmsullivanbooks — she’d love to hear from you.